As far as destinations go, it doesn't get much hotter than Cuba. The island nation, just mere miles off the coast of the US, has an allure unlike no other, and for good reason. Cuba is facing an inflection point in its history and the world is watching. I had the privilege of traveling there in 2014 on a group tour, and captured these images that I think truly showcase the landscapes, people, and culture of this fascinating place. The rum factory in Havana draws throngs of tourists, but it's well worth a stop. Besides learning about the history and production of rum, the tour culminates with samples and live music. 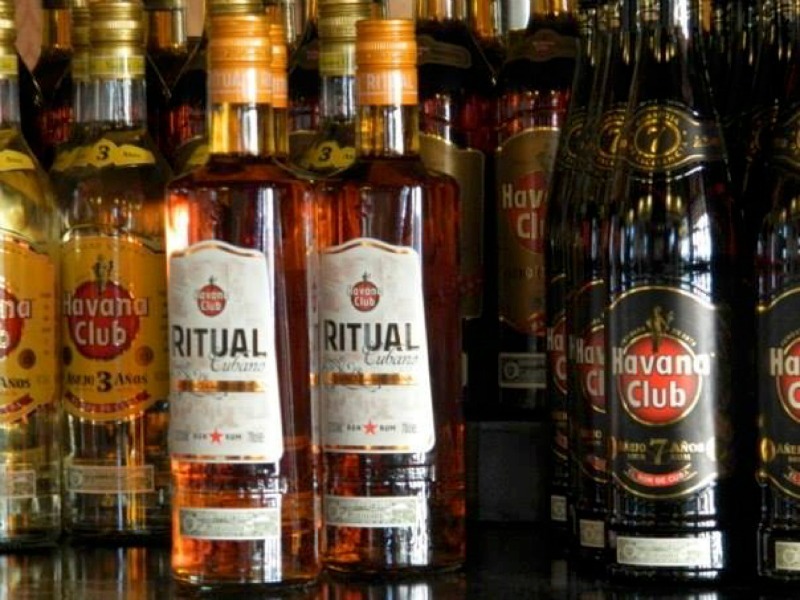 Havana Club is the brand of choice. 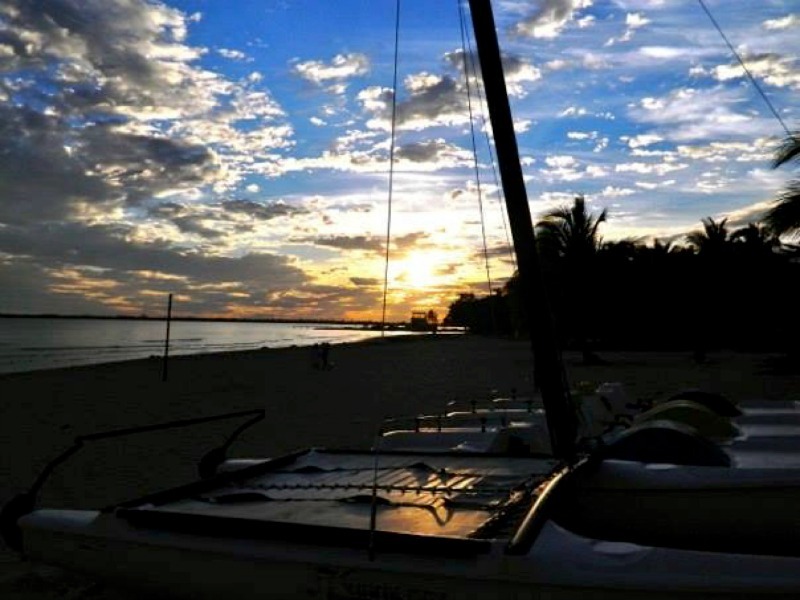 I captured this sunset from a small private beach near Playa de Giron, or Bay of Pigs, an infamous Cold War landmark. One of the highlights of my trip was visiting Korimakao, an arts school for gifted youth. 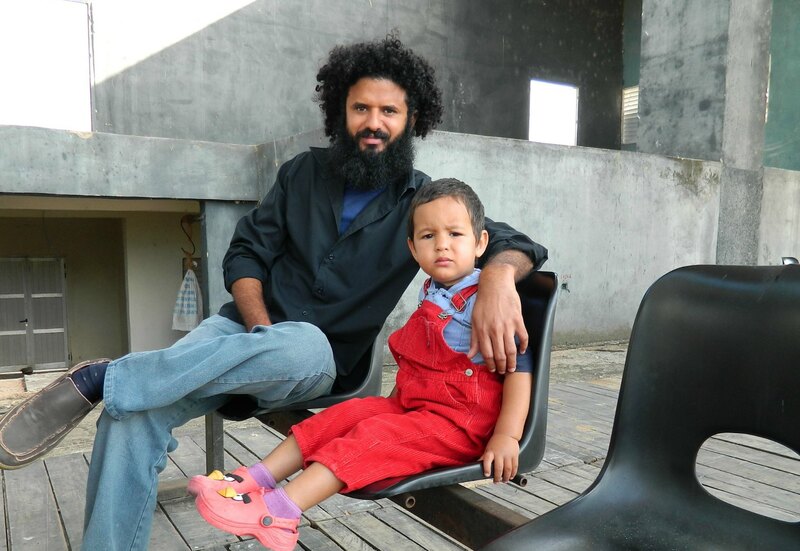 We met with Yander, pictured here with his son, who is the artistic director, as well as enjoyed a concert and dance performance from the kids. 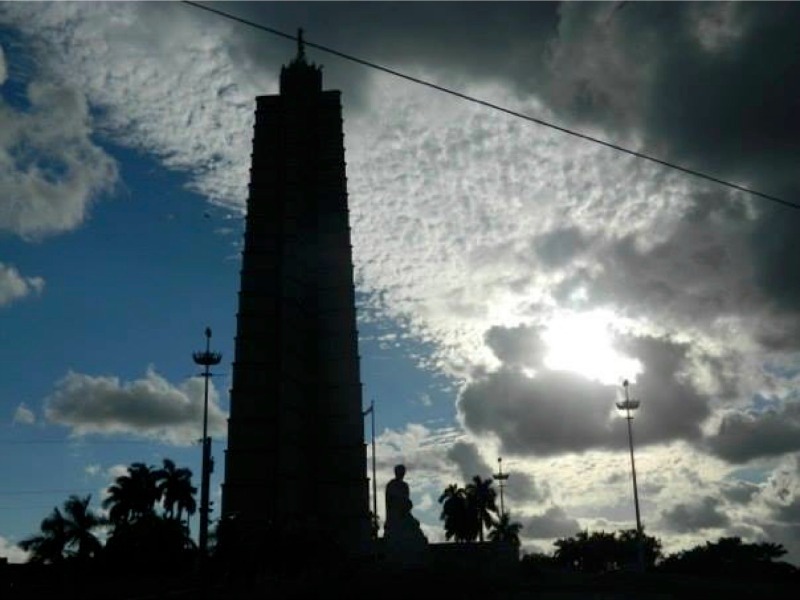 Despite facing daily hardships, most Cubans have tremendous national pride. 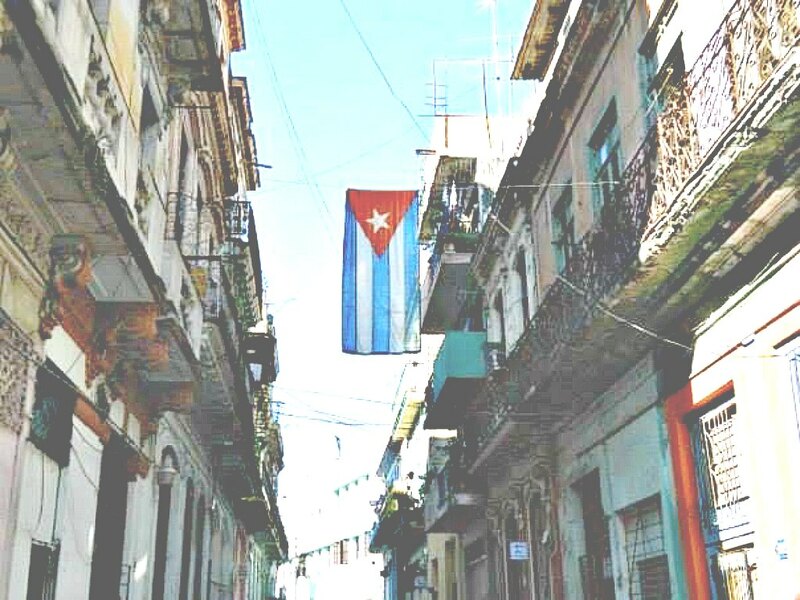 Cuban flags are on display everywhere, including this side street in Havana. Cuba is heaven for architecture afficionados. Many of the older buildings have faced years of neglect and are literally crumbling to the ground, while others, like this one, have been beautifully restored by the government. An old Russian truck was our transport while exploring Parque Nacional Topes de Collantes, located in the south-central part of the island. 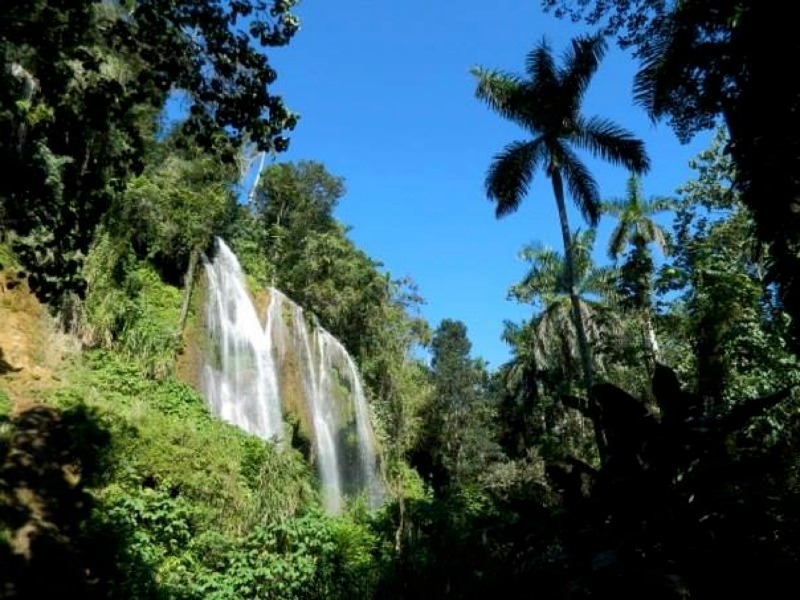 The park was wildly beautiful and while popular with local Cubans, virtually free of any other travelers. We stopped in to visit a local family, who farmed some land inside the park. The matriarch of the family was lovely and outgoing. 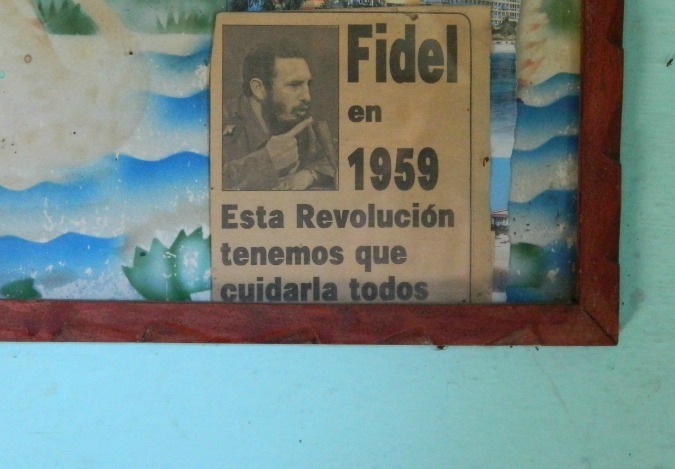 She shared with us a story of how Fidel Castro himself stopped by one day while touring the park. This genuine newspaper clipping from the 50's is proudly on display in the farmhouse. The husband was a quiet soul, but a hard worker. 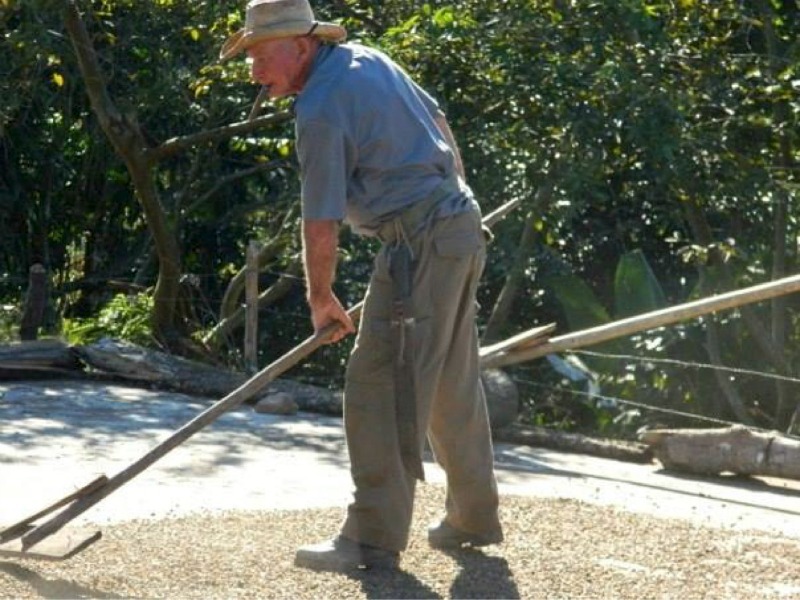 Here he is raking and sorting some coffee beans from the recent harvest. Of course while smoking a cigar. Cienfuegos is a town a few hours drive from Havana that is overlooked by most tours. 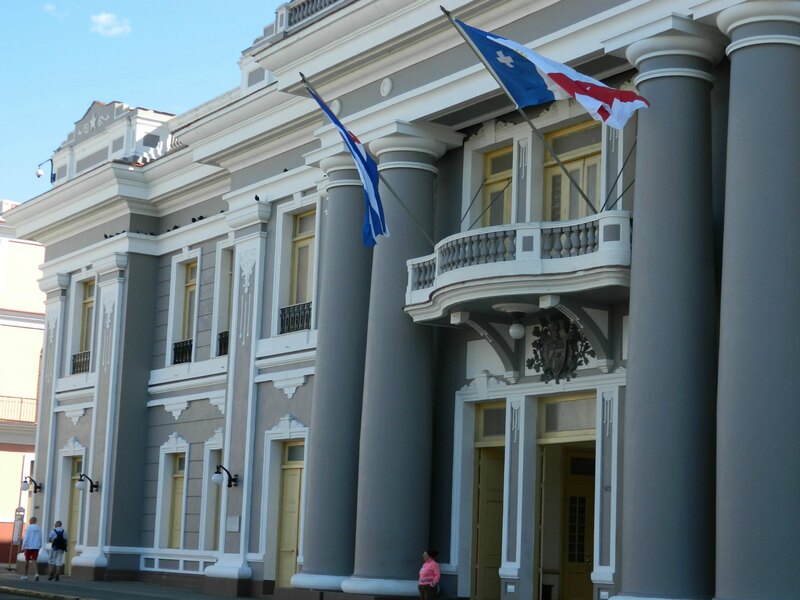 It's quieter than Havana, but with equally as stunning architecture. 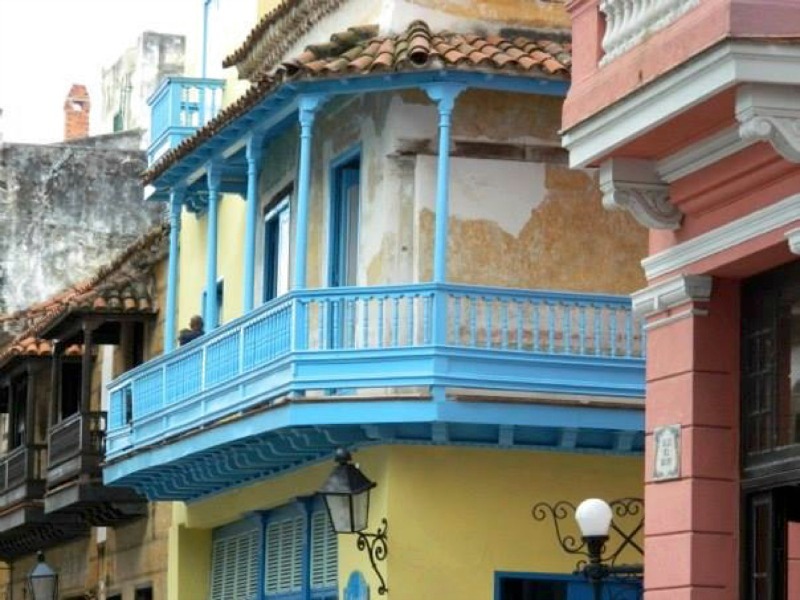 If you want the true Cuban experience, you need to spend some time in the old city of Trinidad. 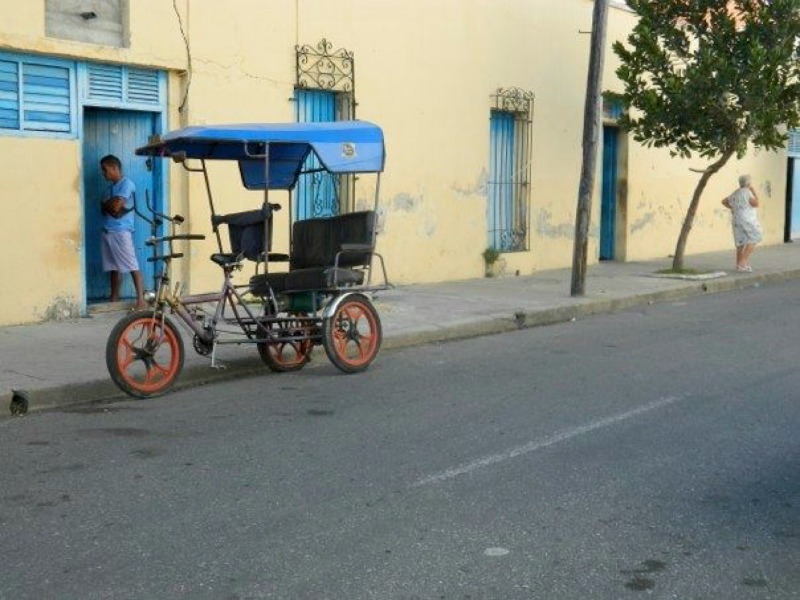 This shot provides a glimpse into the Cuban lifestyle, still using quite simple forms of transportation. 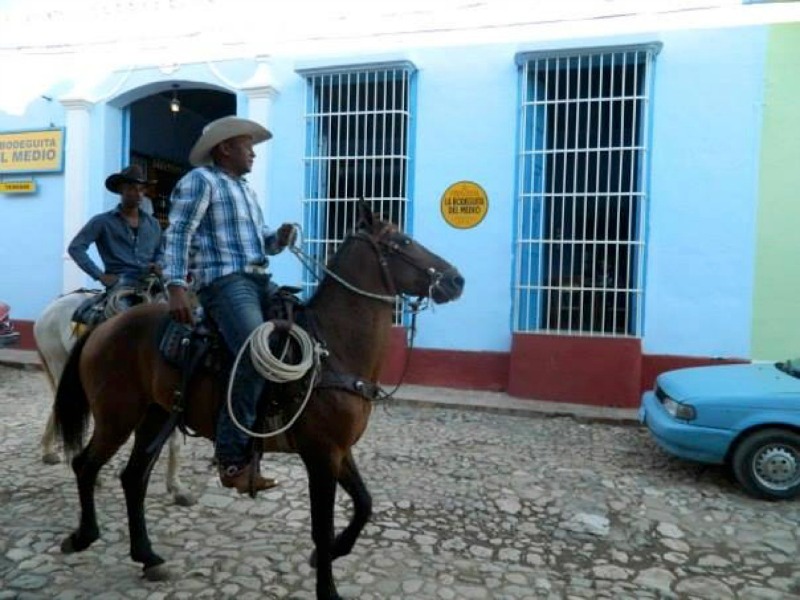 Men on horseback on the cobblestone streets of Trinidad. 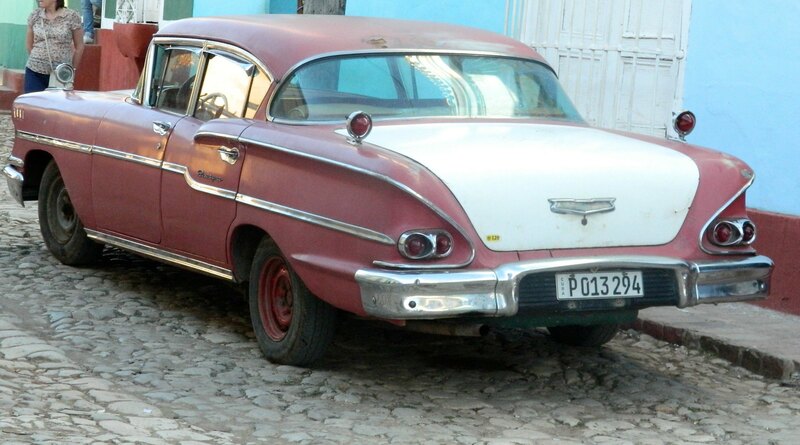 The epitome of Cuba! Most classic car owners are very proud and meticulously maintain their cars. 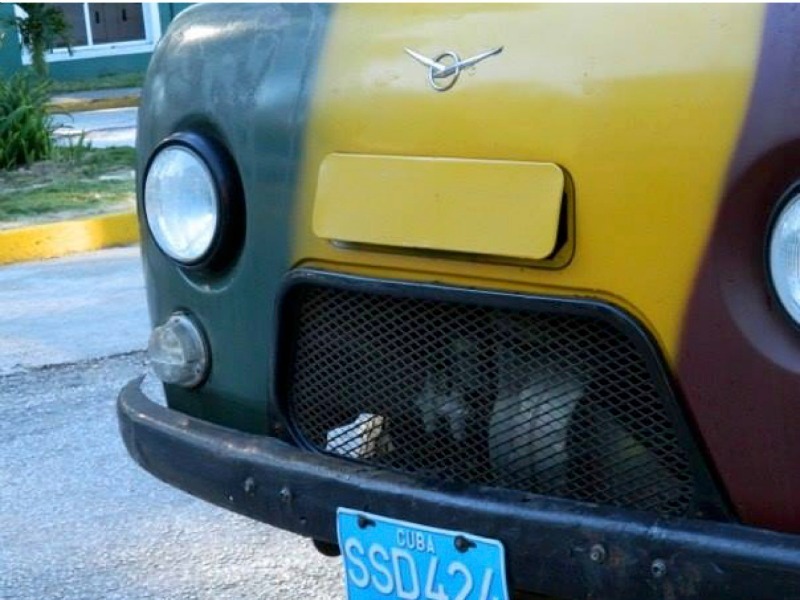 Because of their resourcefulness, Cuban mechanics are said to be the best in the world. Revolution Square, Havana. 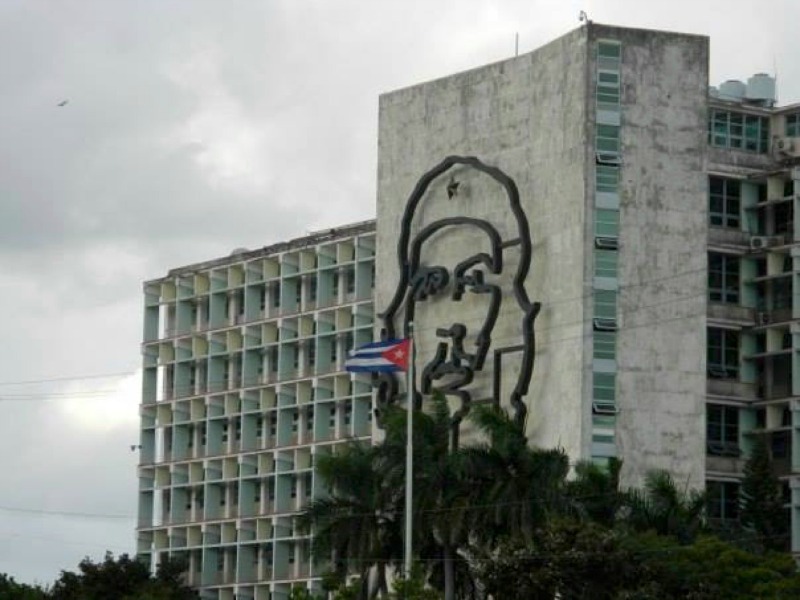 All of the surrounding buildings are adorned with the faces of revolutionary heroes. This one features none other than Che Guevara. 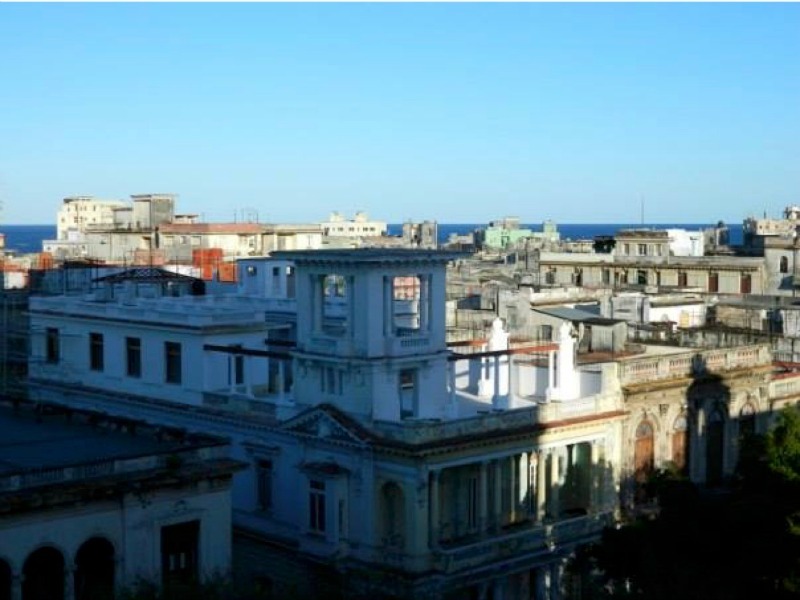 The rooftops of Havana with the sea peeking out in the distance. This little guy was very willing to ham it up for the camera. 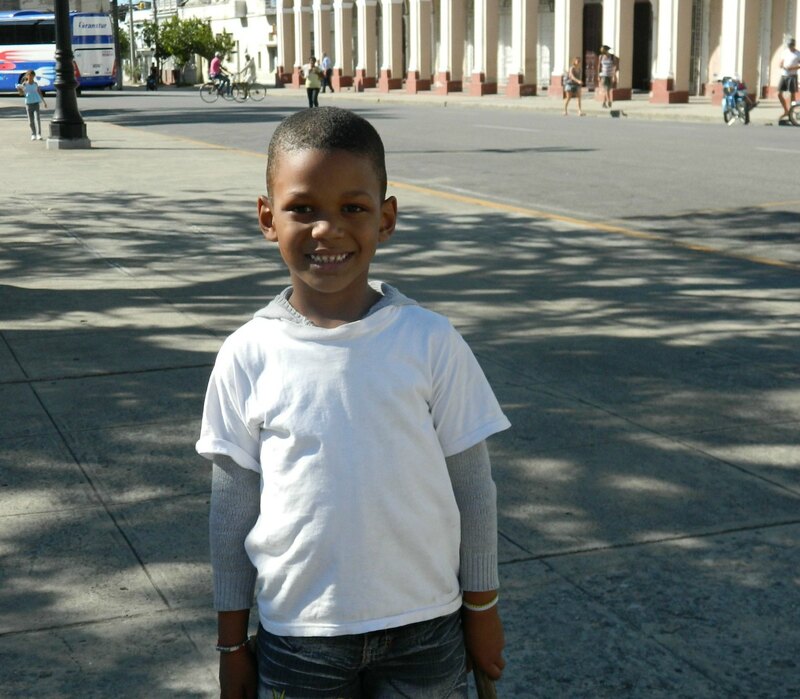 We stopped and spoke (in our broken Spanish) to him and his mom for a while in Cienfuegos. Parting shot of Revolution Square with a high sky as the backdrop. Is a trip to Cuba in your future? Learn how to get there, legally, and then search & compare trips to find the perfect one for you.